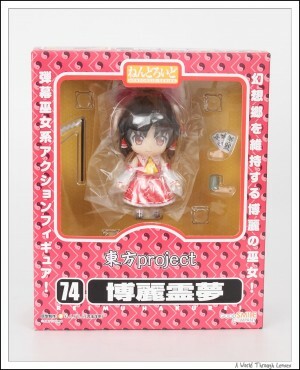 Here’s the cute miku in brilliant red right out of the box. Notice that her base is different from the regular nendoroid. 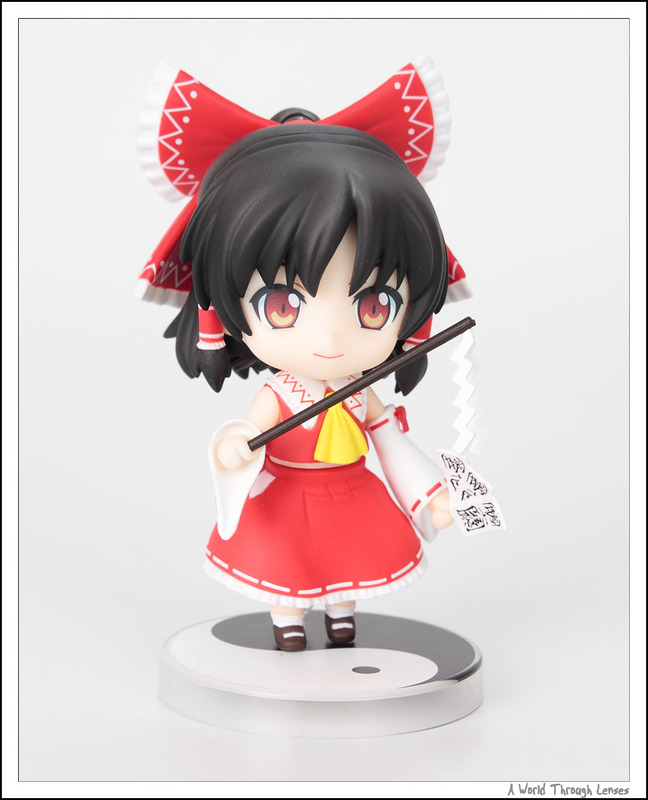 Instead of the clear acrylic base of normal nendoroids, her base has a print of her Ying-Yang Orb on it. 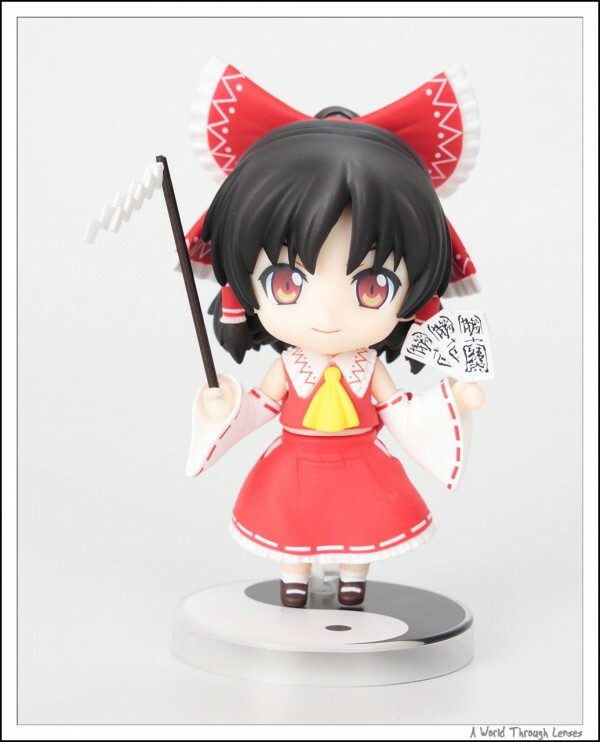 She came with a few different hand and arm parts to hold the prayer rod and the charm cards in different poses. 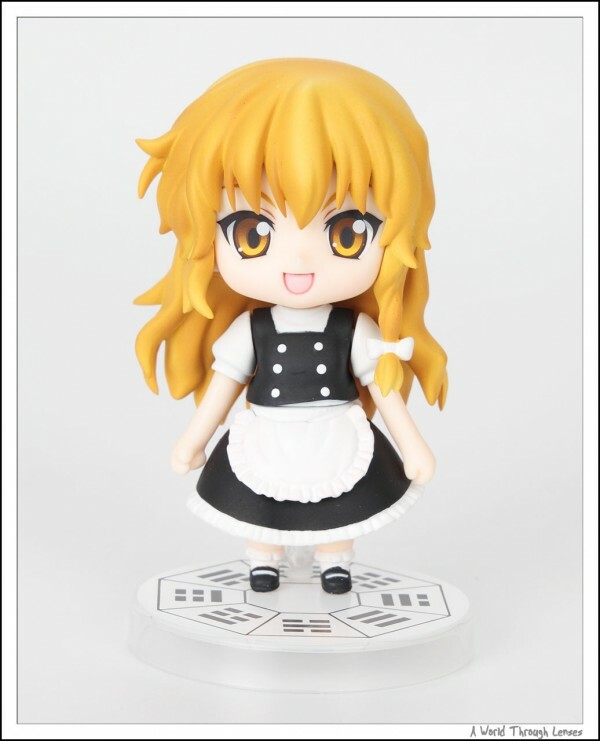 Also came with the relaxing face. 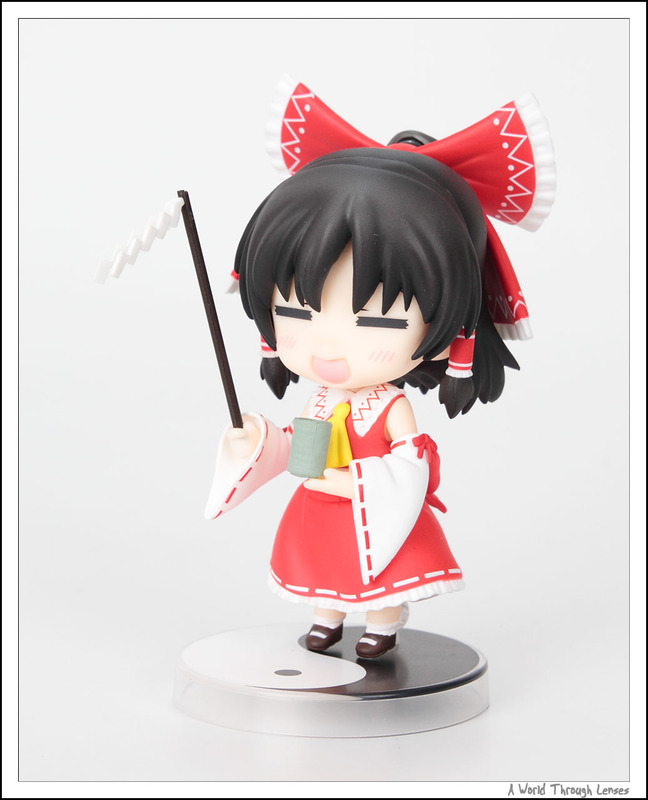 Yeah nothing beats being a shrine maiden – sipping tea and waving the prayer rod around. Now onto her witch friend Kirisame Marisa. 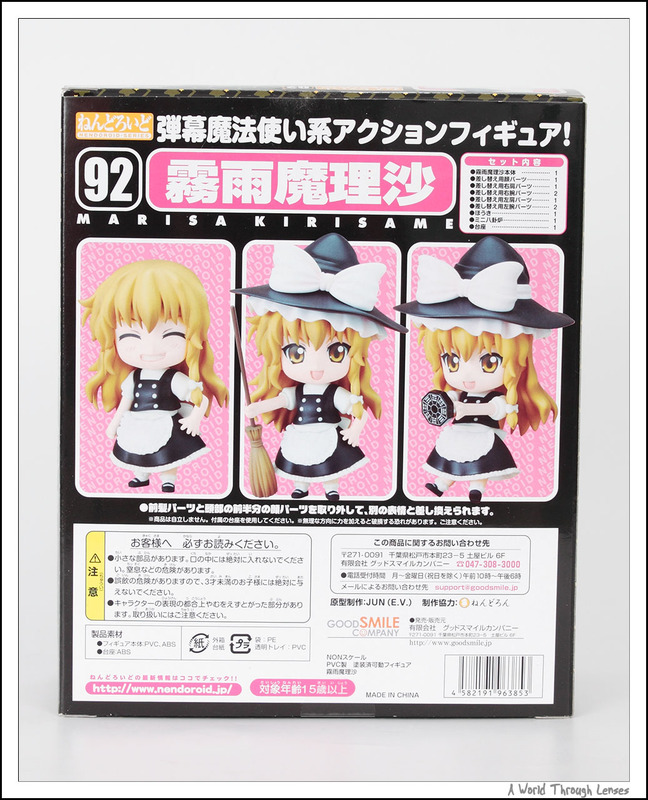 Maris is a much more current nendoroid series #92. Nendoroid Kirisame Maris by Good Smile Company. (ねんどろいど 霧雨魔理沙). Original sculptor Nendoron (ねんどろん). 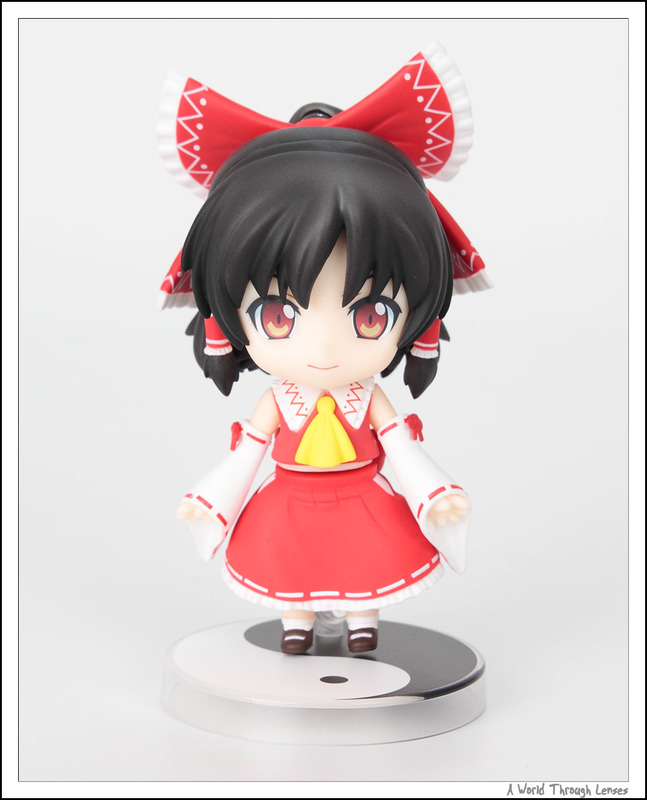 Released on January 2010 with MSRP of ¥3,000. 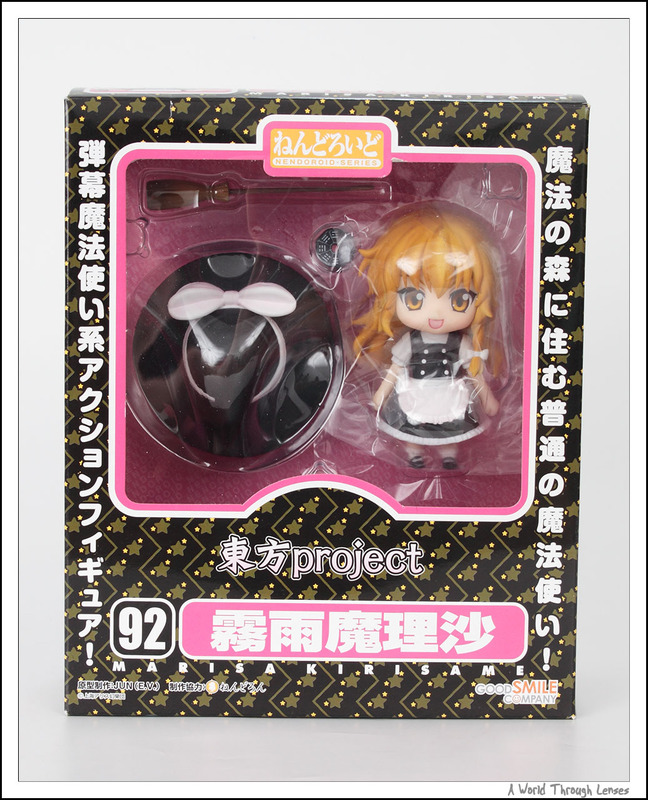 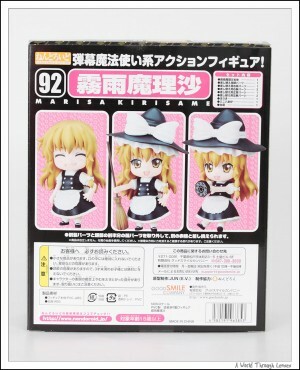 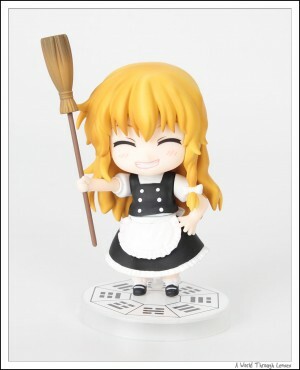 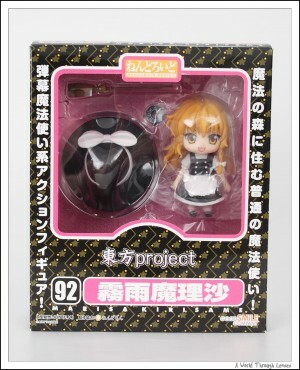 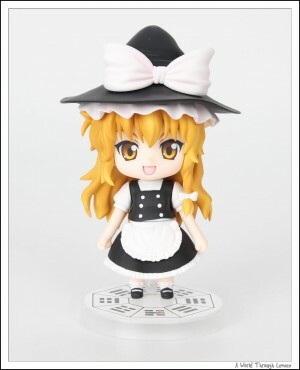 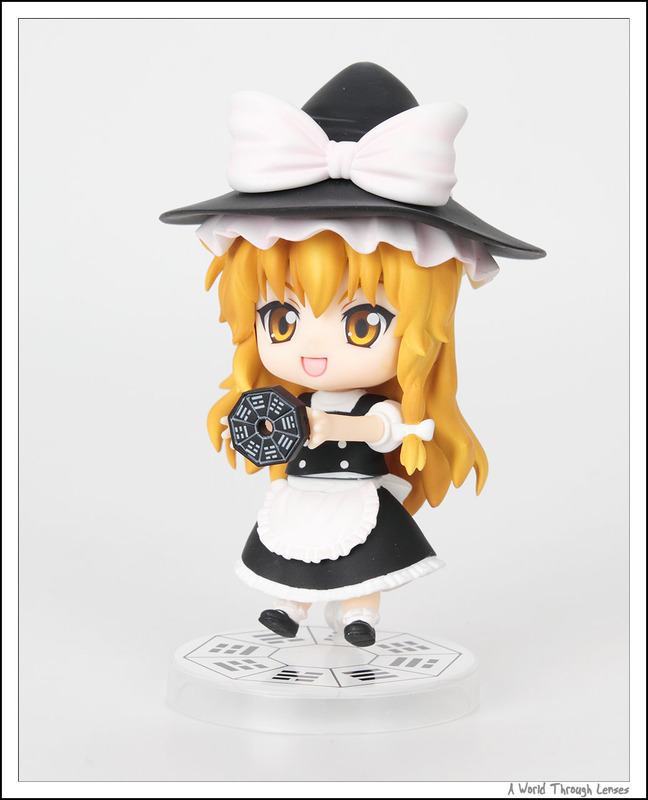 Here’s Marisa right out of the box. 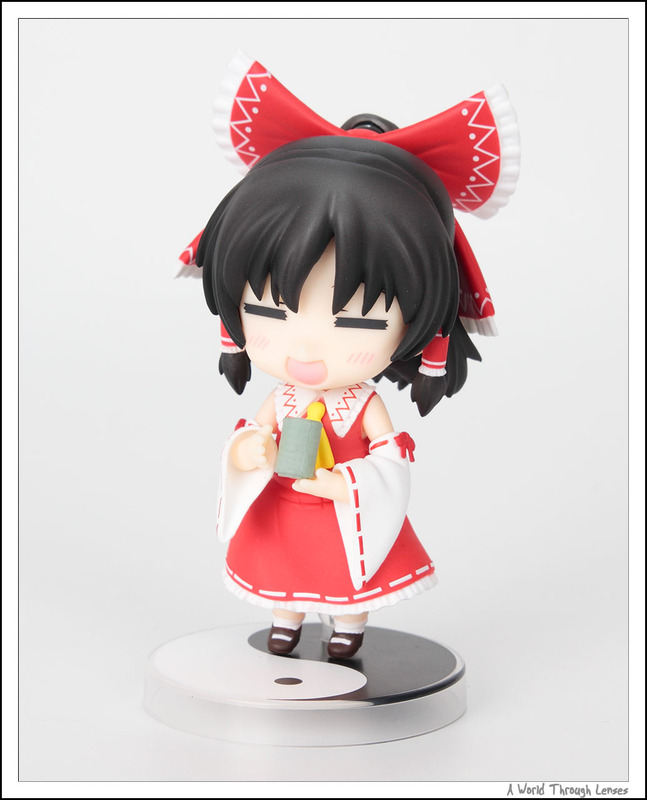 Just like Reimu, her base is not clear either. 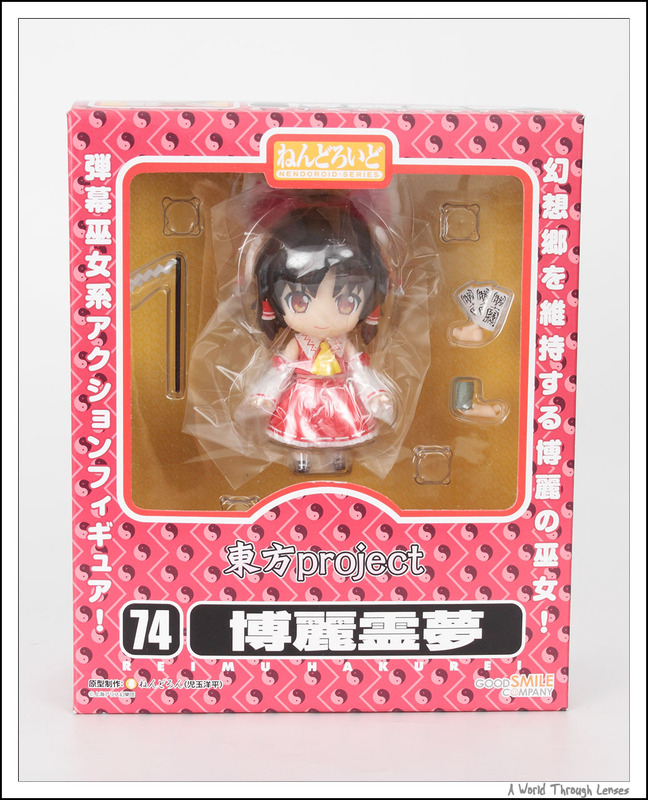 Instead it has the eight trigram printed on it just like her Hakkero (八卦炉 Eight Trigram Reactor). 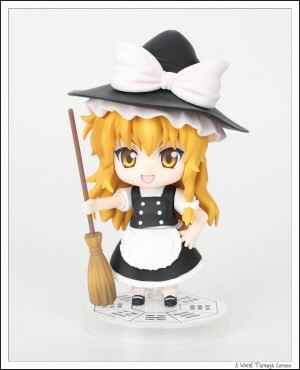 Now with her large witch hat on, and holding her broom. 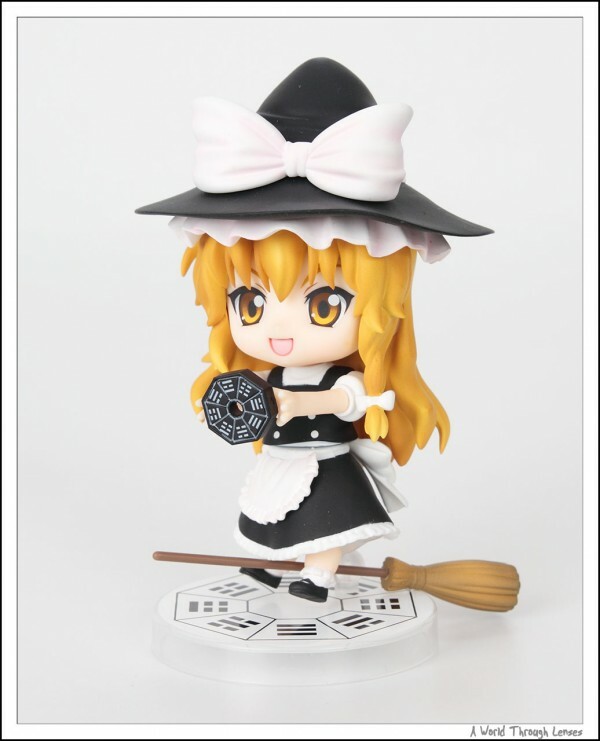 Our lovely little witch is as cute as ever. 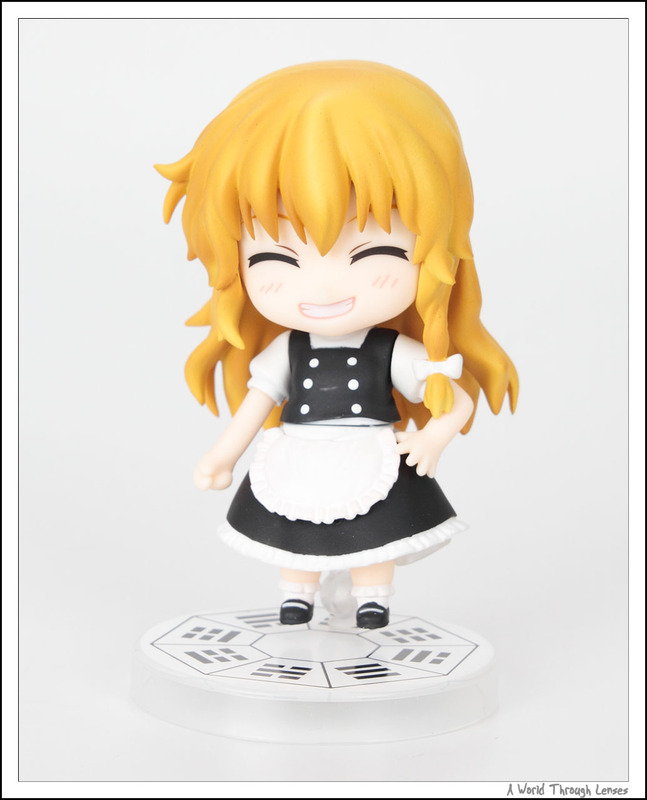 Smiling face on. 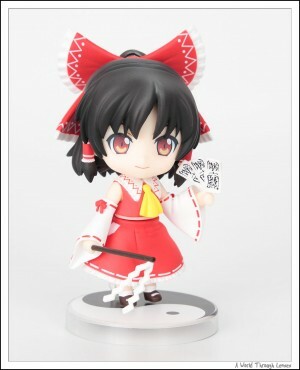 Unfortunately just like Reimu, she only came with two faces while typical nendoroids has three faces in the box. Her base can actually lift her up a bit off in the air. 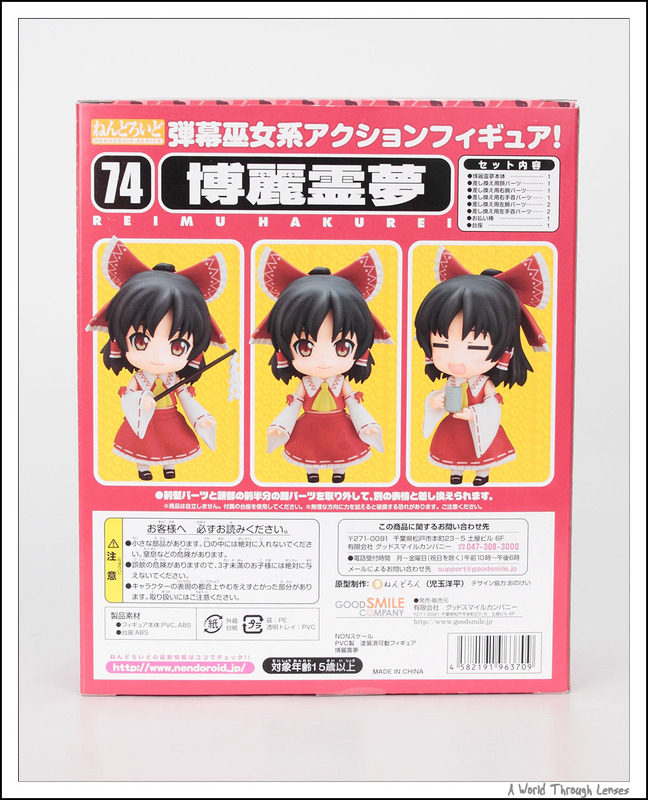 So now we can put her Hakkero up and do the attack pose. 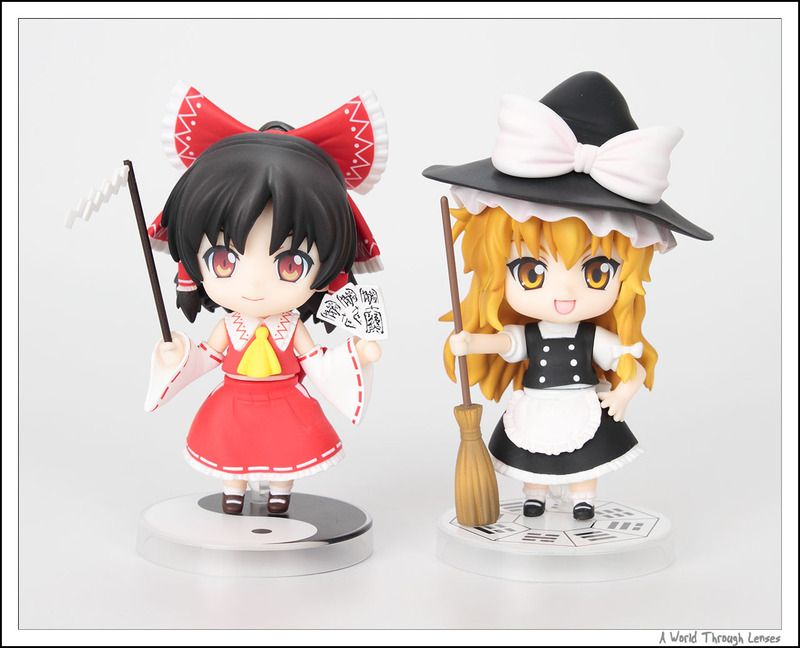 Good frieds, Harurei Reimu and Kirisame Marisa together. 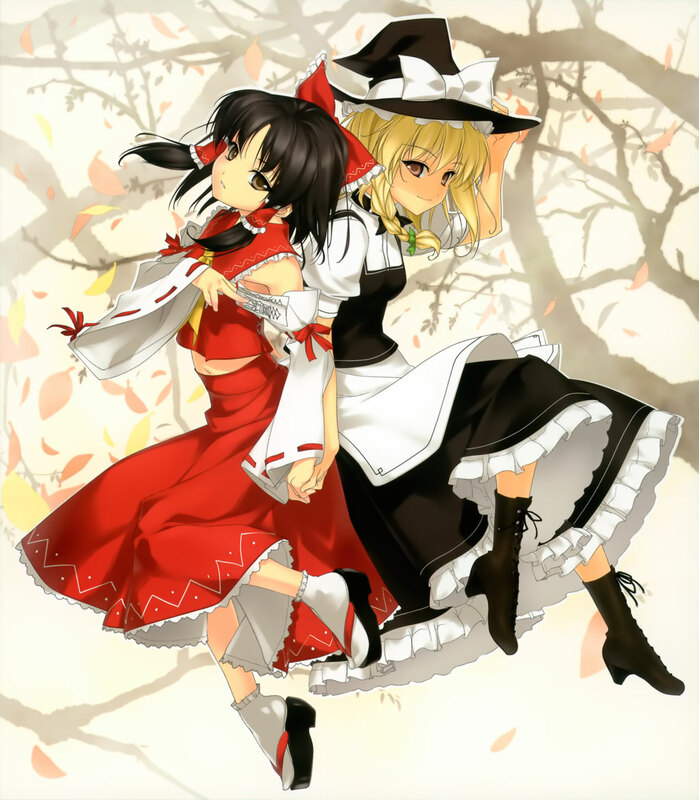 Here’s a 2D illustration of Hakurei Reimu and Kirisame Marisa.